Expanding its One Box Audio line-up, Sony India today launched the new high power portable home audio system - MHC V50D. With exclusive Smart High Power Technology and Mica Cone speaker, the MHC-V50D is stylishly designed and caters to all party lovers. 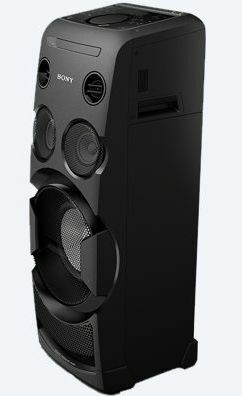 The innovative speakers are the successor of the previously introduced MHC-V44D and stands out for itsimpactful audio output, unique design sensibilities and premium technology. 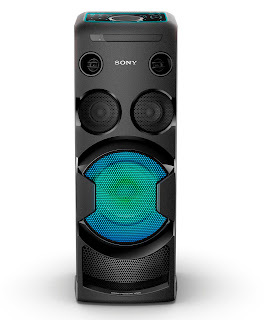 Catering to the growing demand for high power audio products, Sony has strengthened this segment with the inclusion of unique features like party lights and karaoke mode, Motion Control and DJ effects. 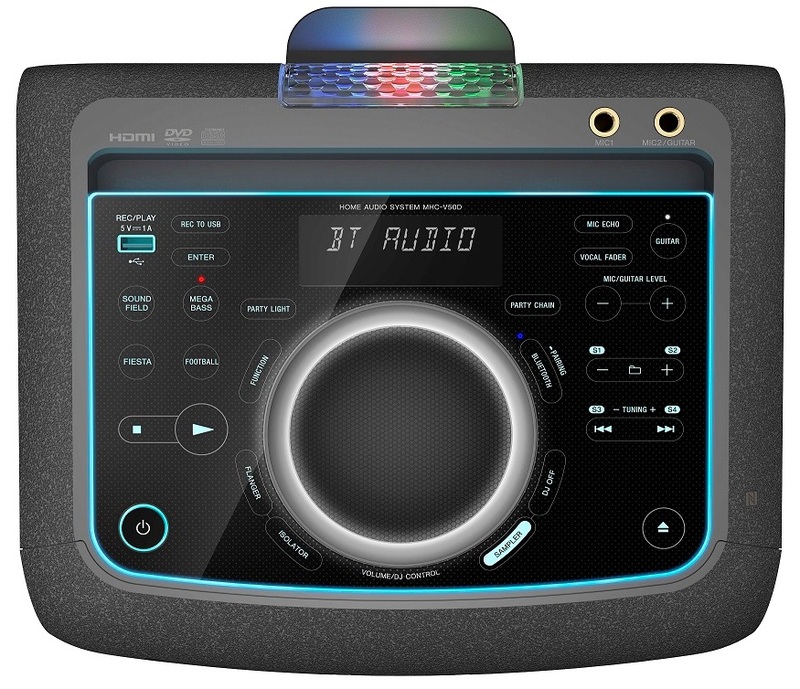 The speaker is embedded with an option for built in DVD/CD player, USB port, audio input and HDMI output and also comes with a built in FM radio tuner. 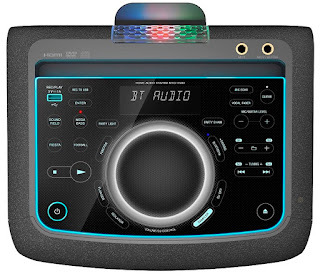 The new speakers can now easily organize mini concerts with the available guitar input. Just plug in and press the guitar key to enjoy powerful sound of the instrument. To make the experience even more engaging the karaoke mode enables consumers to have an ultimate sing- off. Just hook the MHC-V50D up to a TV and pop in a karaoke DVD, or sing along to songs from YouTube™ via Bluetooth technology. Two mic inputs, plus scoring and sound effects allows for a smooth karaoke setup. A built-in vocal fader function even turns down the voice on CDs, so one can sing all favourite songs. The system’s LED touch panel makes it easier to control music playback and space illuminating lights beams multi-coloured light from the ceiling to the floor in time with the beat. The new twist comes in the form of a touch key and dedicated function themed lighting. MHC-V50D is equipped with the latest motion control to manage the selection of tracks. This smart technology is an effortless feature which can drive a smartphone’s motion with a simple left and right shake to change tracks; play and pause favorite tracks and also manage the volume control. As a powerful wireless audio device, it guarantees to produce impressive audio output capability with 660W that allows one to enjoy the highest quality wireless audio via Bluetooth technology. With up to 3x the data transmitted, LDAC provides an enhanced wireless listening experience for all music needs. The audio system comprises of DJ function allowing consumers to add effects to music, voice and lighting. 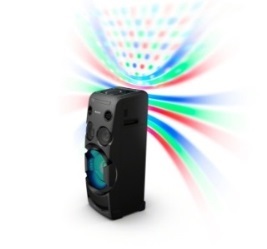 It helps control the colours of the speaker’s light and sync the same to the beats of the song. Using the Music Center appinstalled in the smartphones, one can select the effects such as the lighting and control DJ effects directly. It also encompasses one touch connection and listening via one’s smartphone. Adding to the unified experience, equipped with intuitive operations users can control the music via Wi-fi or Bluetooth, meaning one can browse music through online streaming.Consumers can also browse music through USB list from faraway places by easily connecting to Sony’s indigenous App. 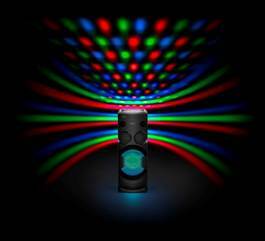 MHC-V50D can pump up the atmosphere with club-like speaker illuminations. Lights are directed through a lens to spread a wide light pattern. One can control the lights on the system, and watch them sync to the beat of the music for a club-style dance floor at home. MHC-V50D is light weight, space saving and its compact design helps achieve maximum portability. 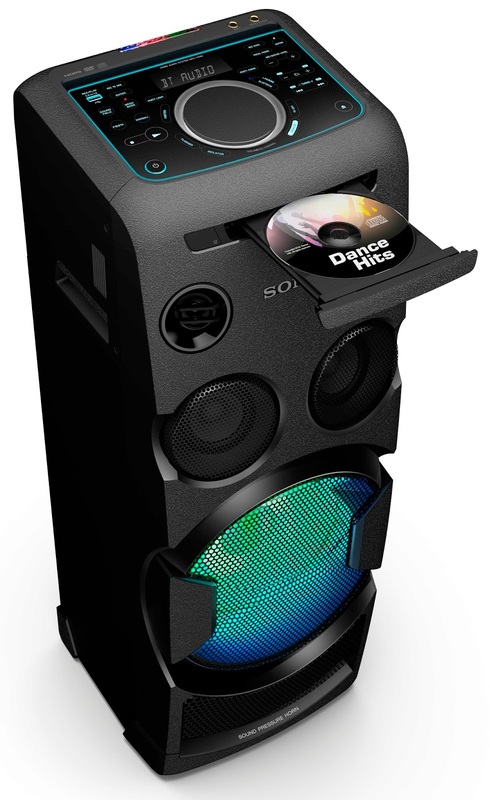 An aptcombination of style and sound quality, it comprises of inbuilt carry handles which facilitate ease in movement and makes it the perfect addition to any party. 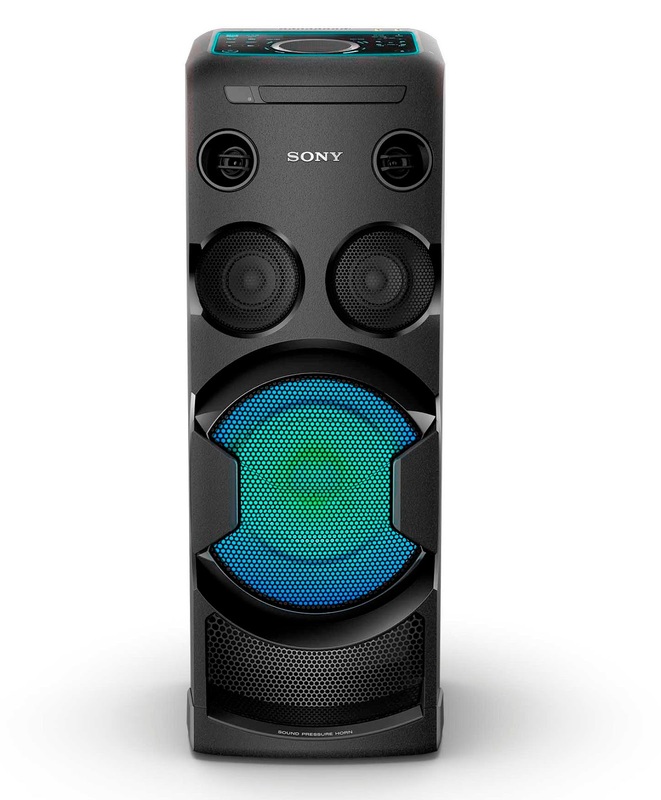 The speaker can be connected with other Sony one box audio systems to amplify the sound and create a high power audio chain effect. This feature is designed to enhance acoustic experience and produce powerful sound. The newly launched product will be available in all Sony Center and major electronic stores across India.